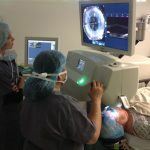 During cataract surgery, the natural lens of the eye is removed, and an artificial lens, called an intraocular lens, or IOL, is inserted into the eye. NeoVision provides high-quality continuous vision lenses so patients can see clearly at near, intermediate and far-away distances, and points in between, while wearing glasses less. 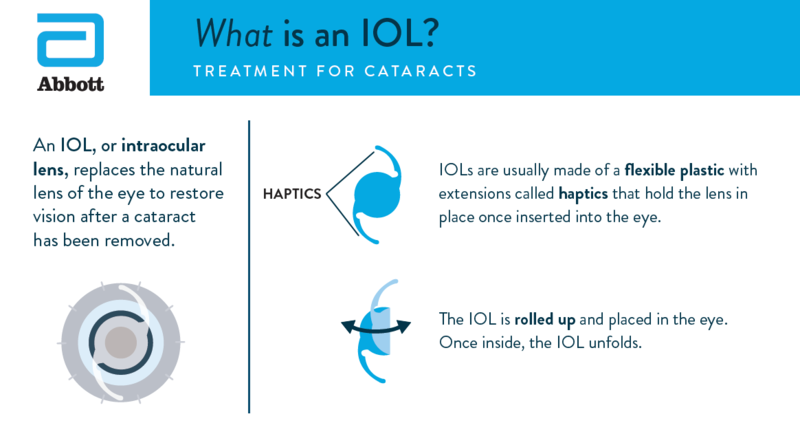 Intraocular lenses (IOL) are silicon lenses which are implanted into the eye during cataract surgery, in replacement of the eye’s natural lens. MonoFocal lenses are used to restore vision for one area of focus- usually distance. MultiFocal lenses have several zones of clear vision and allow for both distance and near vision correction. This is a modern breakthrough and allows for the discontinued use of reading glasses. Toric IOLs are premium intraocular lenses that correct astigmatism as well as nearsightedness or farsightedness. They can help restore crisp, clear distance vision for astigmatic cataract patients. NeoVision Eye Center offers you over 20 years experience in the diagnosis and management of cataracts.